Fast Food Restaurant With Drive Thru for sale. Over 2,100 sq.ft. Equipment includes: 2 hoods, food processing table, walking cooler and walking freezer, office, safe, counter. Seats 52. Monthly rent $6,900 plus NNN expense and property tax which is about $2500 . Property is shared with Chevron Gas station. Good parking. Next to Casino. Next to 86 freeway off-ramp and 10 freeway. Could be a great location for Dunkin Donuts or Mexican food. 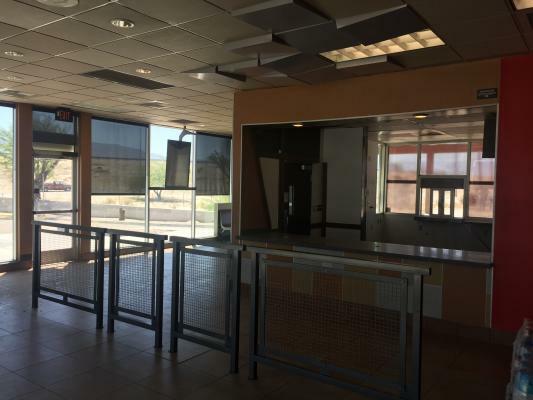 To get more information about this Fast Food Restaurant With Drive Thru business for sale in Coachella, Riverisde County please phone Alex Shapouri (Agent) at 310-985-8777 - if you get voicemail please leave a detailed message - make sure you mention you saw this posting/ad #242907 on BizBen.com. 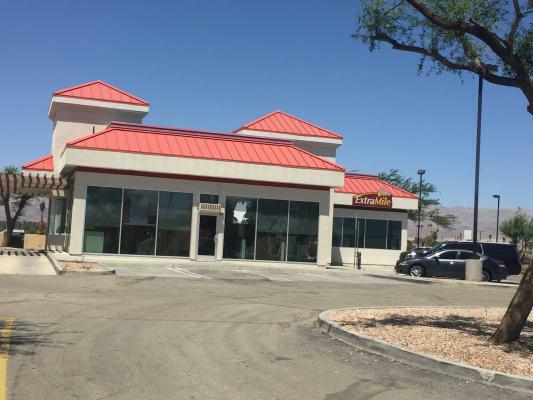 In addition to phoning Alex Shapouri, make sure you email Alex Shapouri above to get more info about this Fast Food Restaurant With Drive Thru, to ask any questions or request an appointment to see this business for sale, franchise, or opportunity. Thank you.